T-Mobile USA has revealed its plans to have a full 4G LTE network in place for 2013. The company has been relying on HSPA+42 speeds for its "4G" offerings up until now, but is focused on bringing a full LTE service as customers continue to flee the network. 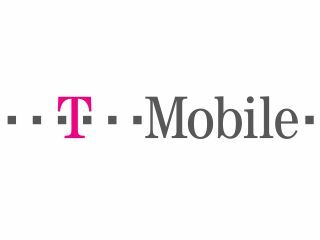 Following some disappointing Q4 earnings figures, the company said: "T-Mobile USA is reinvigorating its challenger strategy, which includes a major network modernization plan to launch LTE in 2013." T-Mobile will be the last of the big four carriers in the US to have a 4G LTE offering at its disposal, with Sprint expected to unveil its own service by the middle of this year. It was thought that T-Mobile would struggle to acquire enough of that all-important spectrum in order to launch a competitive 4G network. However, the company acquired some of the mobile airwaves as part of a compensation package when AT&T's multi-billion dollar agreement to buy T-Mobile fell through. The company will also invest $1.4 billion of its own cash in buying up new spectrum of its own. T-Mobile will look to bounce back in 2012, following a tough Q4 where it lost 802,000 contract customers, most of whom jumped ship to iPhone-equipped networks. Philipp Humm, the company's CEO and President, says: "not carrying the iPhone led to a significant increase in contract deactivations in the fourth quarter of 2011."